Channel catfish (Ictalurus punctatus); photo by Brian Gratwicke on Wikipedia; use permitted with attribution: CC-BY-2.5). Missouri designated the channel catfish as the official state fish in 1997. 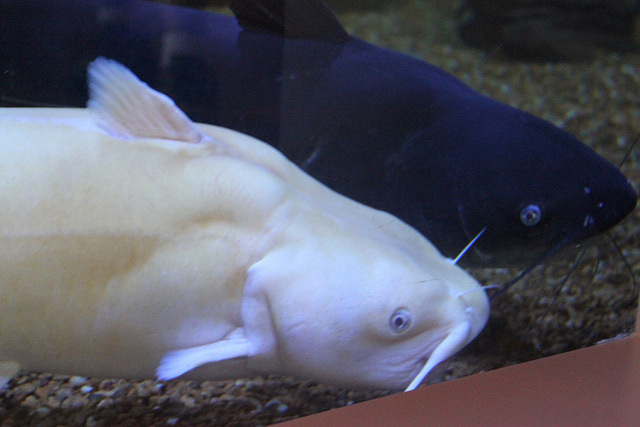 The catfish is so-named for its cat-like whiskers, which are used to assist in the hunt for food. The most numerous catfish species in North America, with an average size between 2 and 4 pounds, the channel catfish can grow to 50 pounds or more (the world record was a channel catfish caught in South Carolina weighing 58 pounds). The channel catfish (Ictalurus punctatus) can be found in rivers, reservoirs, natural lakes, and ponds throughout the United States. 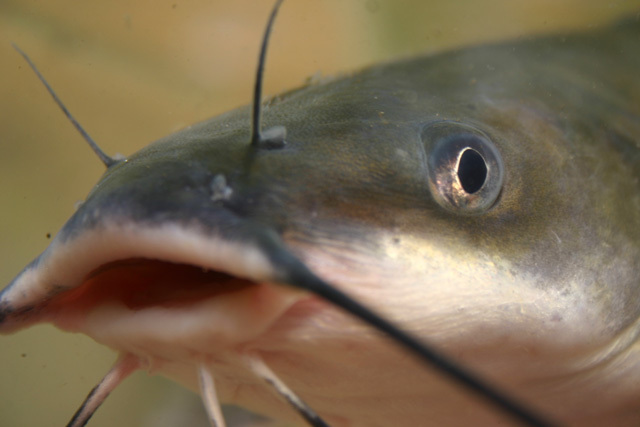 Omnivores with a very keen sense of smell and taste, a channel catfish actually has taste buds distributed over the entire surface of its body, especially concentrated on the 4 pairs of barbels (whiskers) surrounding the mouth. These sharp senses allow the channel catfish to find food in dark or muddy water. 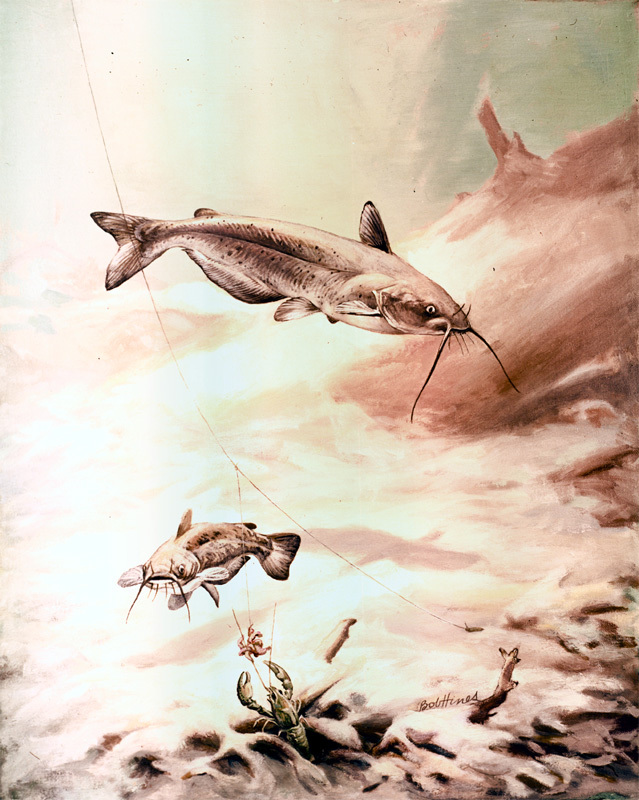 Channel catfish swimming; artwork by Robert W. Hines / USFWS National Digital Library: Channel Catfish (public domain image). Channel catfish drawing by Duane Raver / USFWS Digital Library.